I repeat step 3 every day for about a month. Every day I go to popular sites like Kayak, Orbitz, TravelZoo. Do a search for the location I want to go to and dates where available. Then I skim through results looking for the wholy grail of the deal, that can never be bettered. Then I go to Daily Deal sites like Groupon, Living Social, JetSetter and look through their deals. Then I do a google search for "Best Travel Deals in Nepal" and see if I can find some small site with best offer. At some point at the end of the day I do work for about an hour then I go home and continue looking for "that" deal. Travelope will change all that. Well probably not all, but it will definitely help. You can thank us later and your employer will too. On Travelope we collect all the Travel Deals from the popular travel sites such as Travelocity, Smarter Travel, Expedia, Groupon and many others. 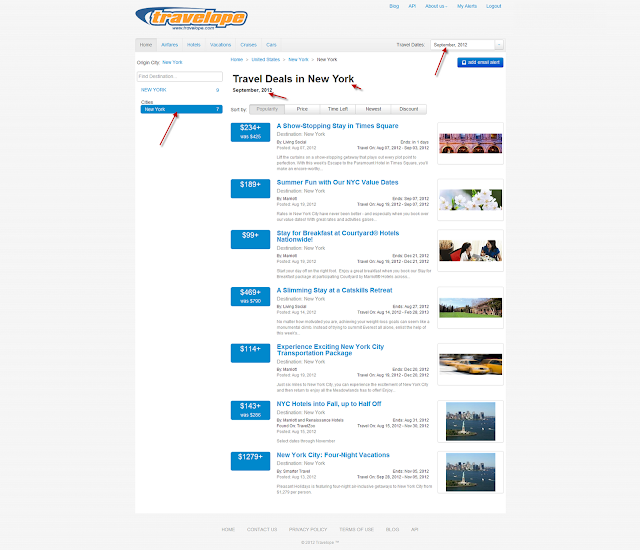 So that you can just come to Travelope instead of visiting all the other sites. 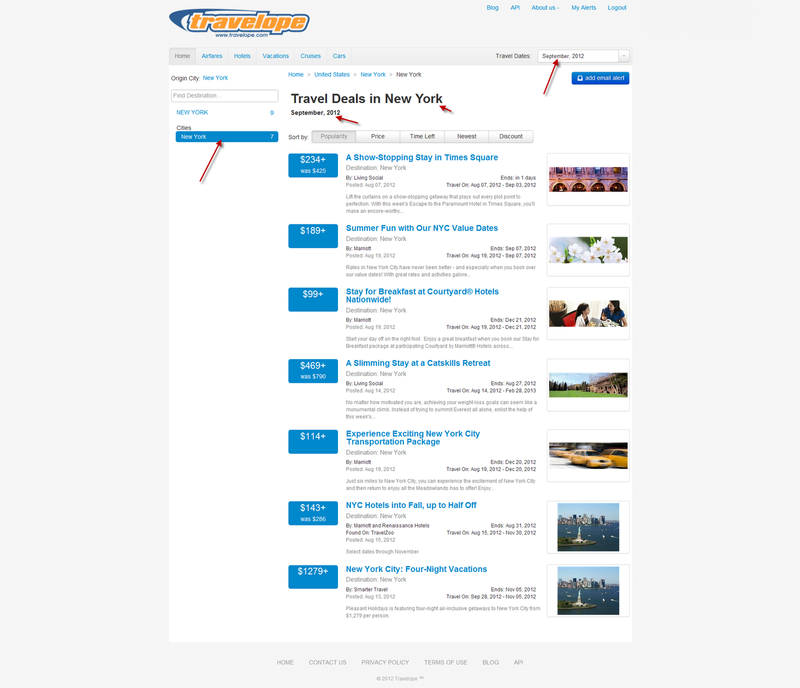 With Travelope, you can specify your destination using left sidebar and travel dates using drop down in top right corner. If you don't find the deal you like right away, you can click on "Add Alert" button which will subscribe you to daily email with new deals that match your criteria. You can create as many alerts as you would like, if you plan to visit multiple destinations or would like to plan for several trips in the future. 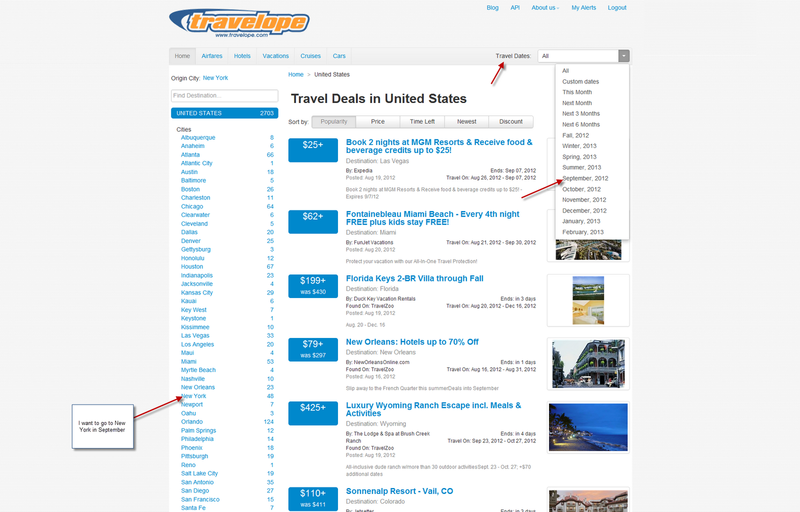 Travelope does not replace Airfare or Hotel search engines like Kayak. But when you look for the best travel deals for your upcoming trip, there is none better.